“Even if eros is at first mainly desire, in drawing near to the other person it becomes less and less concerned with itself, increasingly seeks the happiness of the other, bestows itself and wants to "be there for" the other. It is then that the element of agape enters into this love”. 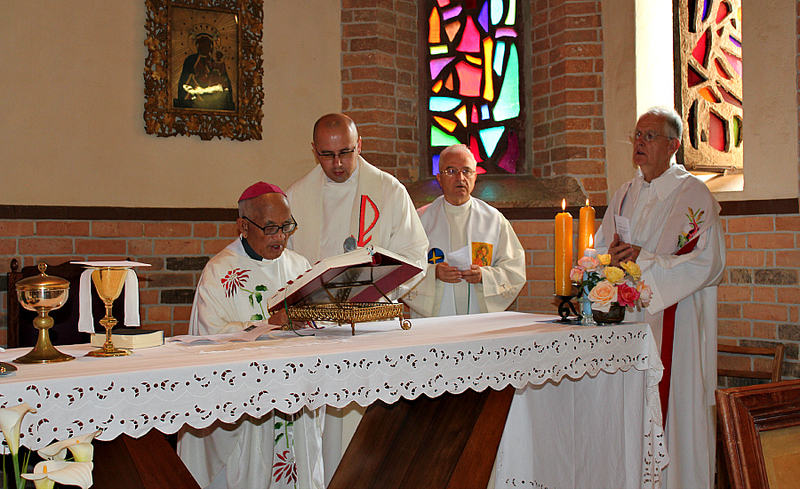 The tenth anniversary of the elevation to the honors of the altars of Blessed Father Jan Beyzym, Jesuit priest, inexhaustible Apostle of the lepers on Madagascar, was on August 18, 2012. 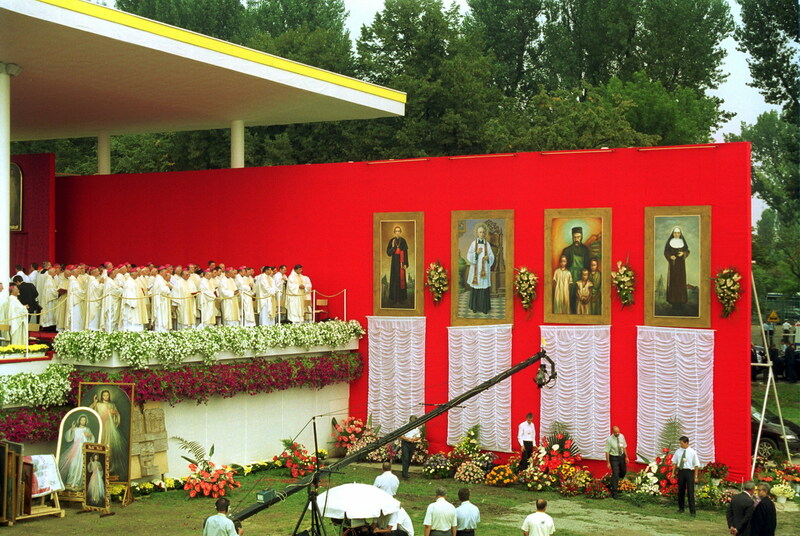 Saint John Paul II in his sermon on Cracow Blonia in 2002 spoke about Father Beyzym’s personality in front of the more than a million group of the faithful and beatified him. It was a day of glory for the noble son of our Motherland and for the Church not only in Poland but in the whole world. 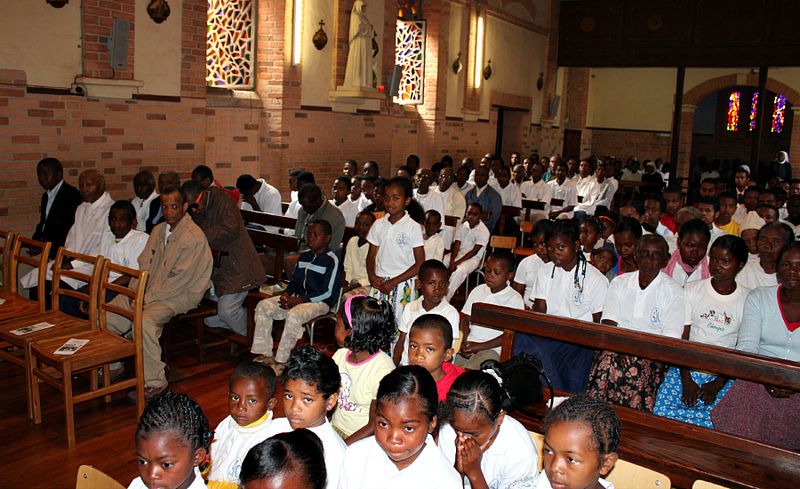 The local and the universal Church beatified him in the appreciation of his heroic love to the lepers, to the poorest people on the island, showed by him during his more that thirteen years stay on Madagascar. 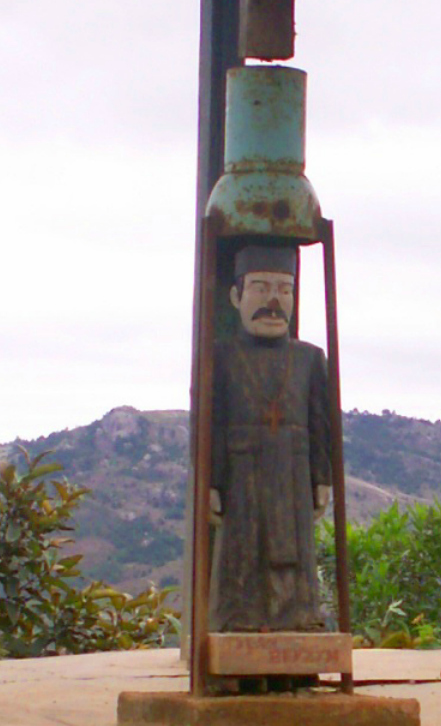 The year of 2012 marked the century of Blessed Father Beyzym’s death, he died on October 2, 1912. We celebrated the 100th anniversary of his death in October, the missionary month. 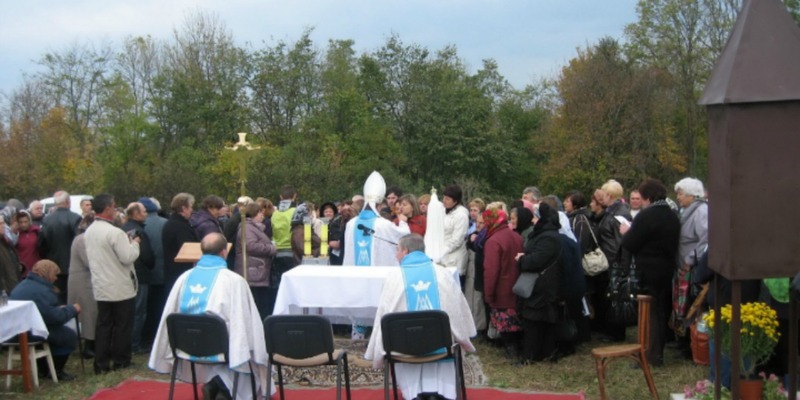 The liturgical celebrations to commemorate the Apostle of Charity for the lepers were held on October 12. 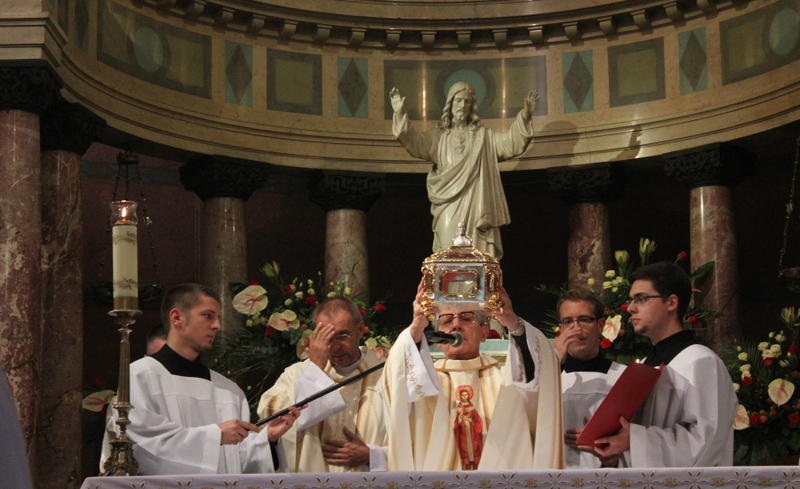 The jubilee celebrations took place in Cracow Basilica of the Sacred Heart of Jesus, where his relics and the image of beatification are located. 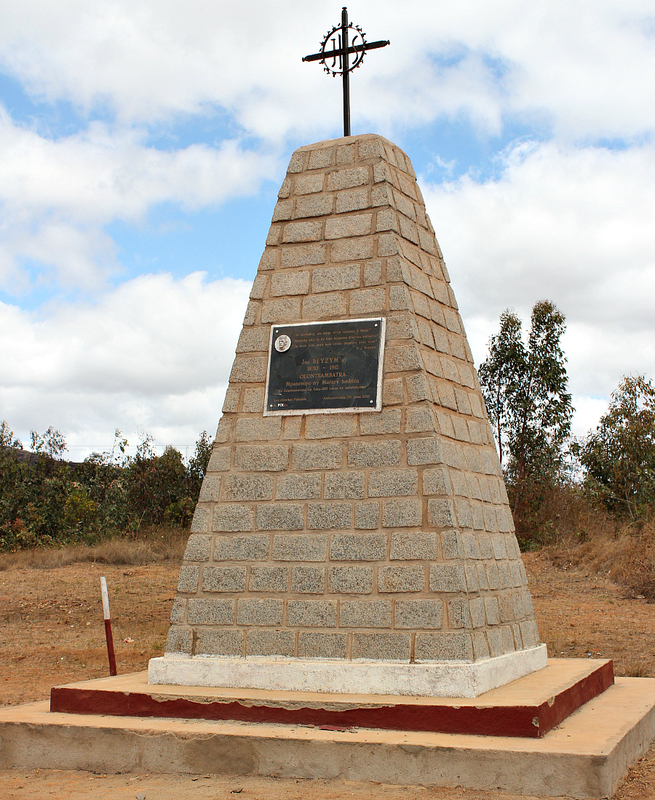 His right hand bone was brought from Marana on Madagascar, where his mortal remains are entombed in the marble sarcophagus in the chapel built by the Servant of the lepers himself. The relic bone of the Blessed is preserved in a palisander chest, beautifully carved by the Malagasy wood sculptors and which is inside the bronze sarcophagus, designed by Professor Czeslaw Dzwigaj in 1994. How a multi-layered the relic is! Using this very hand, the priest dressed up and cleaned septic wounds of his supervisees dozen of times, served them plain food, made of rice and local herbs. This very hand held the pen easily, writing a great many letters to his compatriots, asking them for help to raise the necessary sum of money to build the leprosarium in the faraway Marana. He blessed his chicks, made the sign of a cross over the deceasing, absolved and anointed the dying with this hand. He held the chisel in this hand, woodcarving the tabernacle and a beautiful frame for the image of Our Lady of Czestochowa, bought in Cracow and placed in the Marana chapel main altar. At the image of the Black Madonna, his infected with Hansen disease chicks, prayed and pleaded for the graces. The work of mercy of our compatriot yielded fruitful results. His care for lepers brought him sanctity and improved the fate of the sick. Father Beyzym built a hospital for them with great efford. The hospital still exists and its patients get the necessary care. It has been a long time since the hospital was built. However, it is the testimony of his care for the lepers up to this day. The 10th anniversary of beatification and the 100th anniversary of Father Beyzym’s death impose the duty of reminding his personality on all of us. People today are easily filled with admiration for great achievements, e. g. achievements of famous sportsmen. The recently finished Olympic Games in London would definitely record their names in the Games history. Every sport achievement is important and it is important to remember about it. Hence, it is impossible to forget about the man, who served the poorest devotedly, dedicating his time, love and sacrificing himself for them. Moreover, he did it not for the medal and not for the earthly award. It is our duty to remind about the deeds of the Jesuit monk, the priest, to instill his feeling of love to all people and not only from the Christian community. Living in the stability of the consumer society, we easily forget about the needs and problems of other people. Not many of us are eager to help. Famine, racial intolerance, social injustice, diseases, age, disasters and leprosy - those issues are mostly taken care of by social and state organizations only. There is a constant need in people, as good as bread, for people poor, sick, disabled, socially excluded to feel loved and cherished even in their adversity. 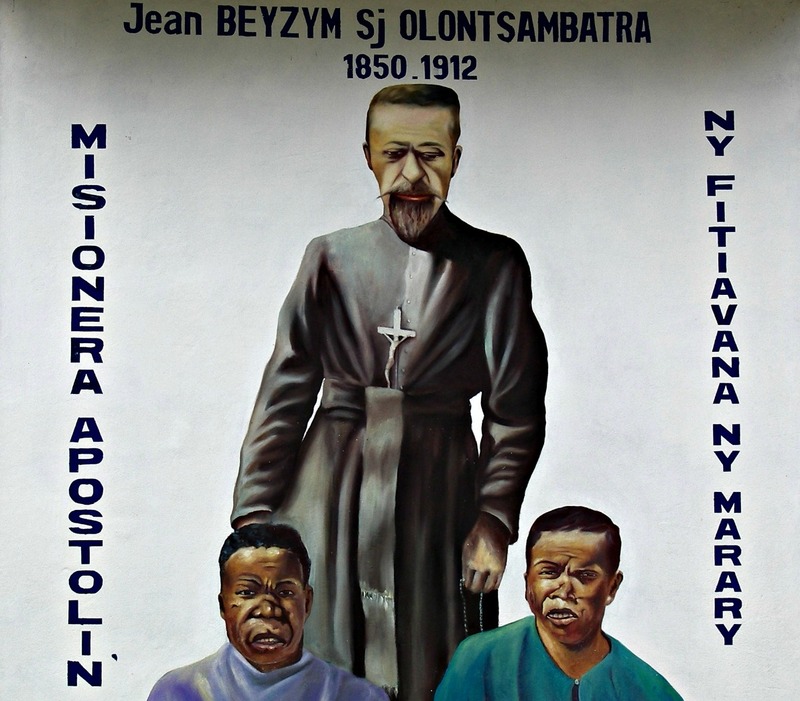 There was no church consecrated and dedicated to Father Beyzym, no school was given the name of the Blessed in the Catholic Poland for some time past. Needless to say, there are no Father Beyzym monuments erected in any of Polish cities or villages. The House for Retreats named after Father Beyzym and run by Polish Jesuits in Ukraine is the only exception. Not many cities in Poland have the streets named after him. 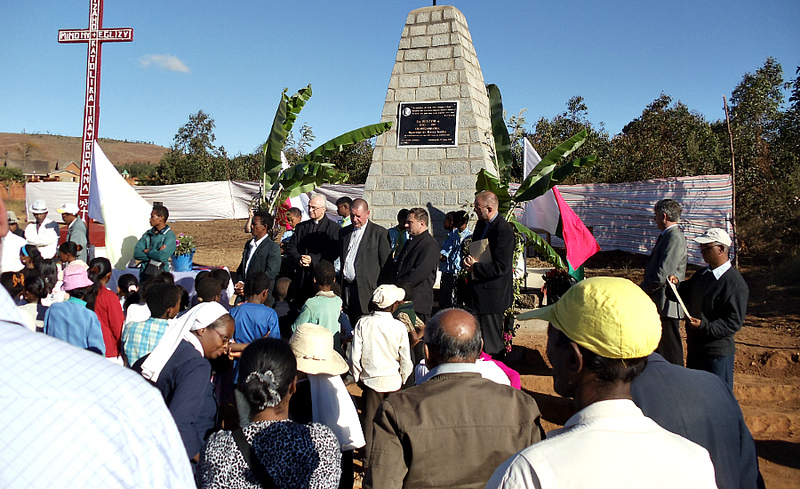 Speaking about Madagascar, we should be ashamed, as there is Father Beyzym monument there and the street in the capital city bears his name. To look for such a street or monument in Cracow is a waste of time. It is useless to hunt for the stamp or a post card with his image, a commemorative coin or a figurine. It hurts me to write about that as it proves us wrong. We take no pains to spread the memory about our compatriot to make him present among us in our every day life. How can his canonization be expected for in such a state of oblivion? We should ask for his intercession daily and spread his memory, rouse up to the service for our fellow beings by looking up to him. When I have difficult tasks to do, I always entrust and commend them to him and he appears to be a successful intercessor with God and Our Lady of Czestochowa. Let us live a happy everyday life and let us learn from the Jesuit priest, the missionary, Blessed Father Beyzym how to love selflessly. Let us do good to our fellow men and our deeds will testify for us for time and eternity. Let us ask him to intercede for us and we will discover his boundless kindness.